First called Northwest Hebrew Memorial Park, our original property at 6 Mile Road and Middlebelt Road was dedicated in 1941. Since then the park has seen many additions and enhancements. Spanning some 40 acres, it contains 15,000 plots, nearly half of which are still available for purchase. The cemetery’s graceful, winding roads and handsome landscaping ensure the beauty and peaceful solitude which you desire for yourself and your loved ones. The grounds are cared for by professional landscapers. Dedicated personnel sees to it that our trees and shrubs, as well as individual grave sites, are properly tended year-round. A Perpetual Care option provides you with special floral plantings and perennial plants for lasting beauty throughout the year. To ensure that the park will always retain its quiet beauty, Adat Shalom has established a Memorial Park Board of Trustees. A Perpetual Trust Fund provides for the continuous maintenance of the park. No one wants to think about facing the inevitable, but ultimately important family decisions must be made. We urge you to act now and purchase memorial property in order to spare yourself or your loved ones the responsibility of difficult decisions when tragedy strikes. 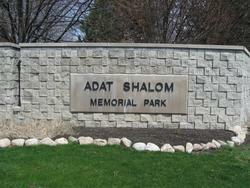 We invite you to visit Adat Shalom Memorial Park with no feeling of obligation. 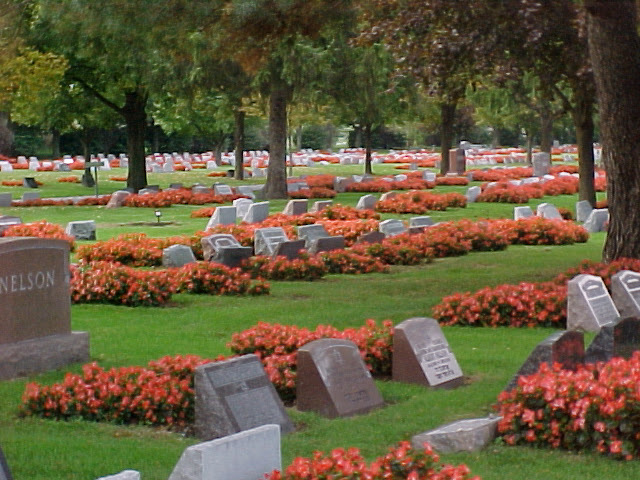 The cemetery is open every weekday and Sunday from 9 a.m. to 5 p.m. (closed on Saturdays and Jewish holidays).